Flickr was the poster child of Web 2.0 - the read/write web where anyone can publish their stuff, with no editor or coder required. And now, 8 years after launch, it's finally getting an upgrade. Why's it taken so long? Flickr's success is more about anthropology than technology. 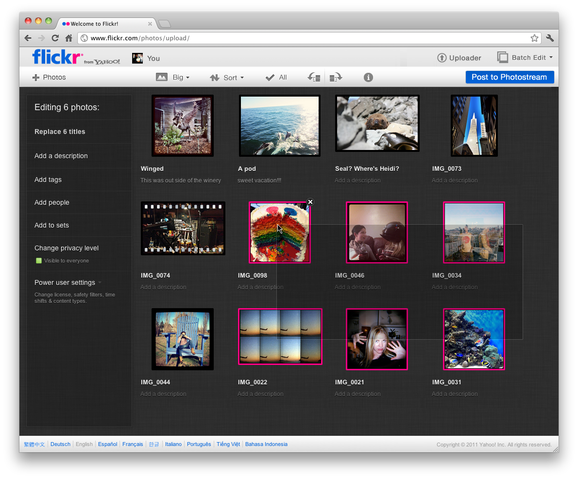 People have stuck with Flickr for a whole load of very human reasons. Some people stick with it because they don't want to undo several years of investment of their time, their photo collection and their money. Many people have friends on Flickr. And many new people join because going with a popular choice is easier, quicker and often more reliable than branching out on your own. Whatever their reasons, Flickr tells a reassuring tale about how there's more to success than keeping up with the hyper-evolution of the Internet. People may be complex, but at least they're relatively constant. The centrepoint for any successful project is people, not technology.